Naomi "Nell" Nelligan McGraw is a woman from the midwest, who married the son of a newspaper owner in Pelican Bay, Mississippi. In time, Mr. McGraw Sr. died, Thom inherited the paper, and Thom and Nell ran it together. Now Thom has been killed by a drunk driver, and Nell is a widow, raising their two children and running the paper on her own. It's only been a month, and she's just beginning to regain her emotional footing. It's a challenge being a single parent of a teenager and a pre-teen, but the paper is also a challenge. Nell is a good journalist, and a good editor, but Thom was the one with the people skills, good at handling the staff. Nell has no confidence in her skills in that area. She's managing, though. Then she gets a call from Kate Brown, owner of the local bicycle shop. She was out hiking in the state park, and found a tree downed by the recent storm. In its roots, there were two skeletons. And they were clearly murdered. 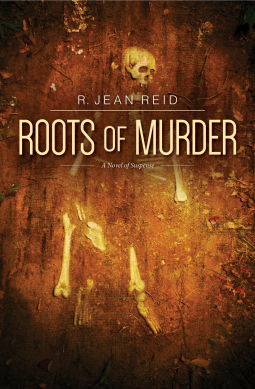 When a third skeleton is found, and the remains are dated to the 1960s, right in the middle of the civil rights unrest, the tension goes sky-high. Nell pursues the story despite pressure from the Mayor, the chief of police, and a flood of angry letters and phone calls. There's a mayoral election campaign on, and that makes this an even bigger controversy. The mayor's family owned the land that's now the state park, and the mayor donated it on condition it never be developed a couple of decades ago. When Nell starts looking into how the major's family got the land originally, things really start to heat up. These murders were a product of the civil rights conflict, as everyone wanted them not to be, and also connect to a land fraud scheme that could tear Pelican Bay apart. I like Nell, her kids, and her employees, and the challenge of the big, controversial story and all the fallout from it tests the character of the entire staff, as individuals and as a team. This is a great, absorbing mystery.